Dow Jones Industrial Average News, 4/29/2016: The market appears to have steadied after a brutal Thursday saw the Dow crater more than 200 points after sugar-high addicted traders didn't get the stimulus they wanted out of the Bank of Japan and U.S. GDP registered at a dismal 0.5%. Here's today's top stock market news, stocks to watch, ways to profit, and economic calendar for April 29, 2016. 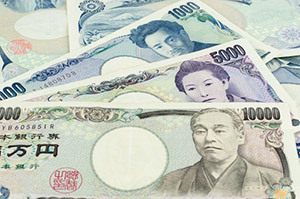 Dow Jones futures projected a two-point gain as the Japanese yen has had its best week of trading sessions since 2008. The Bank of Japan's decision to hold interest rates at current levels and not introduce additional stimulus stunned traders on Thursday, as they anticipated even greater cuts to already existing negative interest rates. Here's more on why the Dow is pushing lower this morning. First up, it seems that reality is lost on Dallas Federal Reserve President Robert Kaplan. This morning, Kaplan said that he is pushing for incremental increases in U.S. benchmark interest rate. Kaplan said that he will do so if inflation rises and the U.S. jobs market remains strong. He must have missed the point yesterday when GDP registered in the first quarter at 0.5%, business investment is back at Great Recession levels, and domestic manufacturing levels have plunged in the last few months. On the economic front, manufacturing data is back in focus today with the release of the Chicago PMI Index. Recent weakness in manufacturing has held back the U.S. economy and raised broader concerns about the health of domestic production, particularly as other indices have fallen well short of economists' expectations. Following yesterday's weak GDP report, everyone in America should be concerned about the sharp decline in real final sales. The sharp contraction in business investment is especially worrying, as the figure has hit its weakest levels since the onset of the Great Recession. The U.S. economy cannot afford such slow growth in 2016, as continued weakness at a time that the Fed is trying to boost inflation could produce dire results like stagflation. The announcement came just a day after the Federal Reserve maintained interest rates at current levels and discussed headwinds to the U.S. economy. 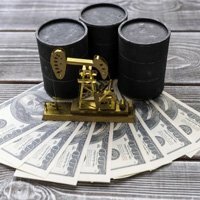 The slump in the U.S. dollar has pushed crude oil prices higher. Crude oil prices are sitting at 2016 highs after three straight sessions of big gains. Brent crude is now up roughly 80 percent since hitting 12-year lows in January. On Friday, crude prices showed additional gains, despite concerns about a glut of supply. WTI crude prices were up 1%, while Brent crude added roughly 0.3%. Shares of Amazon.com Inc. (Nasdaq: AMZN) rallied more than 11% early this morning after the e-commerce giant crushed profit and revenue expectations. The firm reported huge gains in its core retail business and new cloud services division. It's another busy day of earnings reports. Exxon Mobil Corp. (NYSE: XOM) reported earnings per share (EPS) of $0.43, beating Wall Street's low expectations of $0.31. Shares of XOM stock were up nearly 1% early this morning. It's a gloomy time to own stock in Apple Inc. (Nasdaq: AAPL). Shares of AAPL stock continued to slide this morning after billionaire investor Carl Icahn turned sour on the stock during an interview with CNBC on Thursday. Icahn, who once famously turned bullish about the tech company and said the stock was worth more than $200 per share, reversed his stance and announced that he no longer had a stake in Apple. Icahn raised concerns about Apple's ability to sell in China, the second-largest economy in the world. Here's what investors need to know about Apple moving forward. On the earnings front, look for additional reports from Chevron Corp. (NYSE: CVX), Monster Beverage Corp. (Nasdaq: MNST), Royal Caribbean Cruises Ltd. (NYSE: RCL), and Moody's Corp. (NYSE: MCO). Dallas Federal Reserve Bank President Rob Kaplan Speaks at 6:30 a.m.
Amazing Investment Opportunity: If you're an investor, you're always looking for the next penny stock that will bring you double-digit gains. We think we found the perfect penny stock. This particular penny stock could bring you gains of 100% or more.